Chic, effortless and stylish. Our medium rise pencil leg jeans feature knee slits, raw hem and whisker patterns for the worn-in look that you love. Mid Rise Ankle Length Pencil Chic, effortless and stylish. 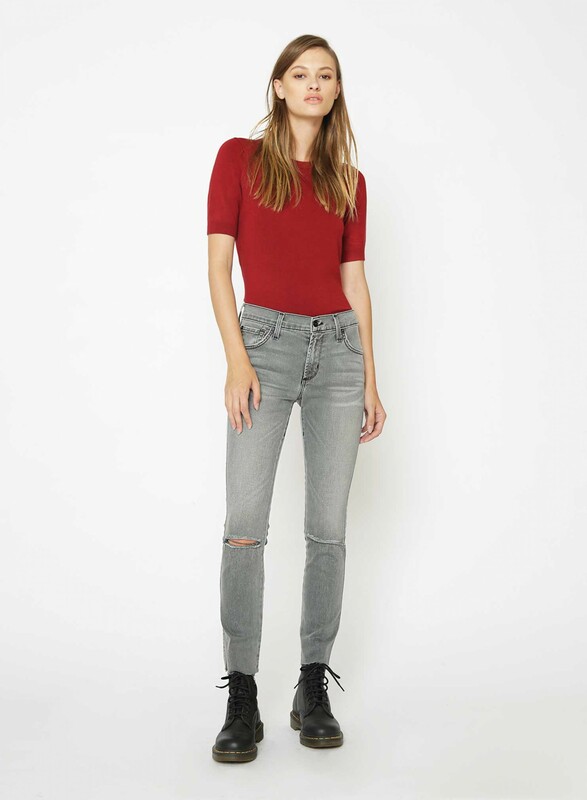 Our medium rise pencil leg jeans feature knee slits, raw hem and whisker patterns for the worn-in look that you love.